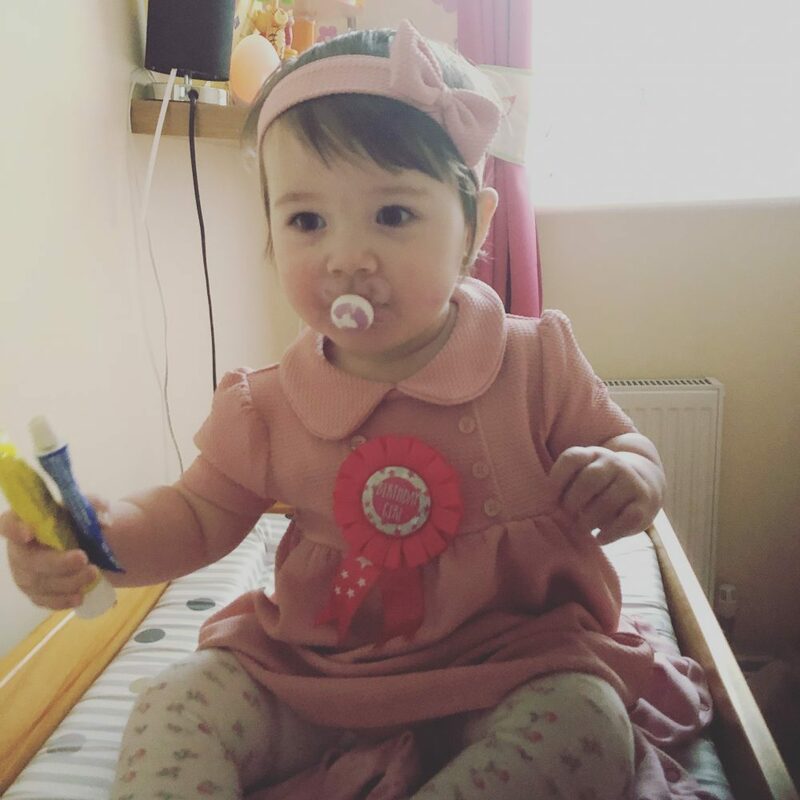 Home » Parenting » Lottie’s 1st Christmas and 1st Birthday Celebrations! 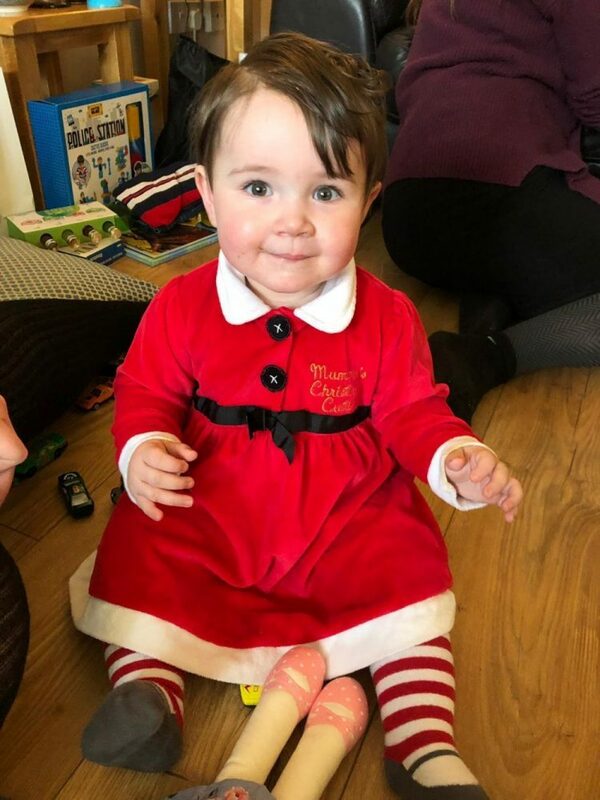 Lottie’s 1st Christmas and 1st Birthday Celebrations! 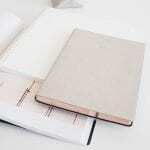 I can’t believe a year has passed since Lottie arrived on the planet! 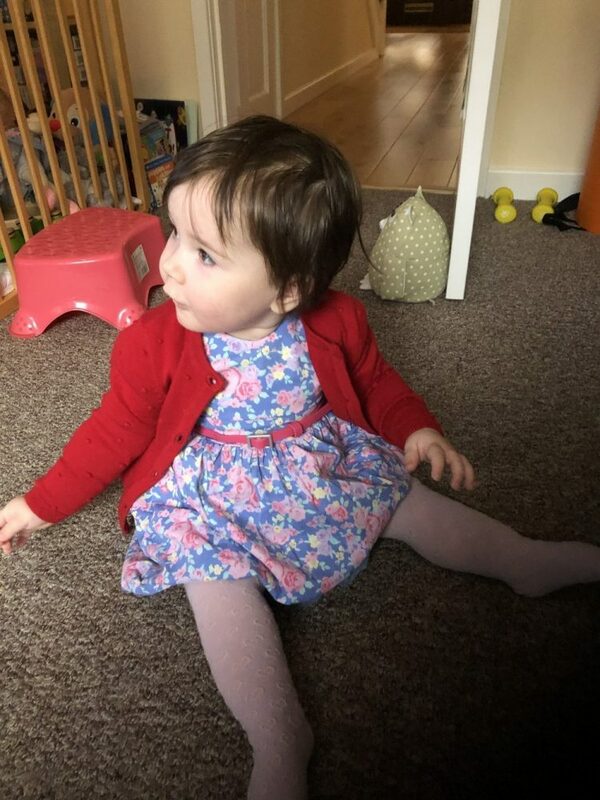 I keep checking with myself to make sure I haven’t got it wrong and she isn’t 1 yet?! It seems only 5 minutes since she was born yet at the same time, feels like she has always been here with her big sister! 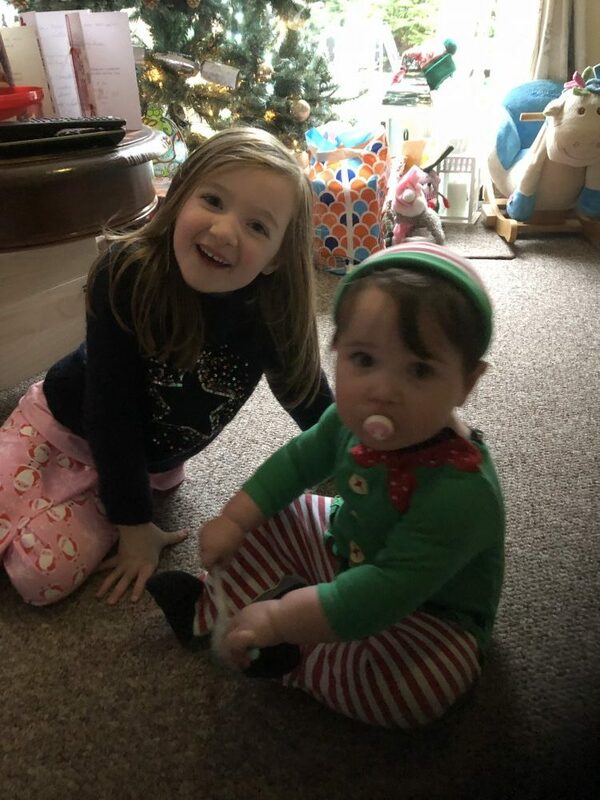 Last month we celebrated Lottie’s 1st Christmas and although she was 6 months older than Mia was at her 1st Christmas, she still had no clue what was going on! 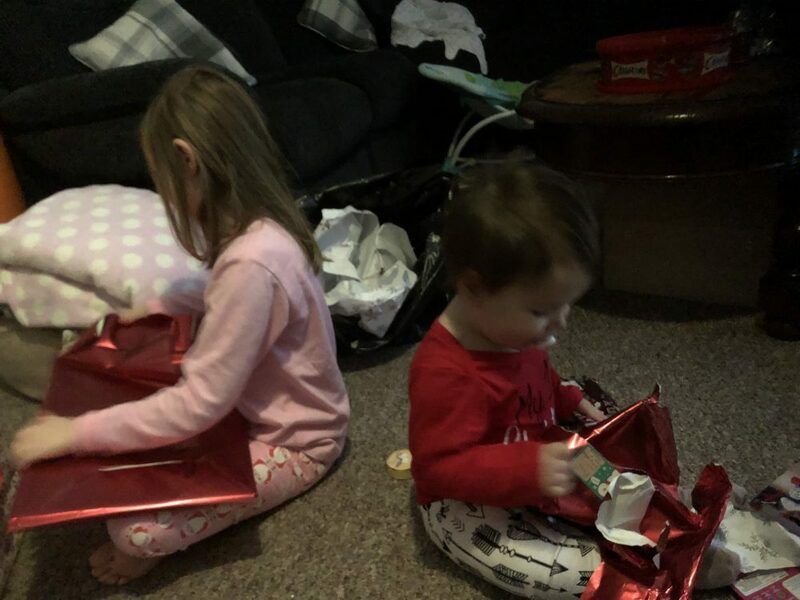 On Christmas morning, she was more than happy to sit and watch Mia open her presents and play with all the packaging! We didn’t really get anything for Lottie apart from a couple of bath toys as she didn’t really need anything. 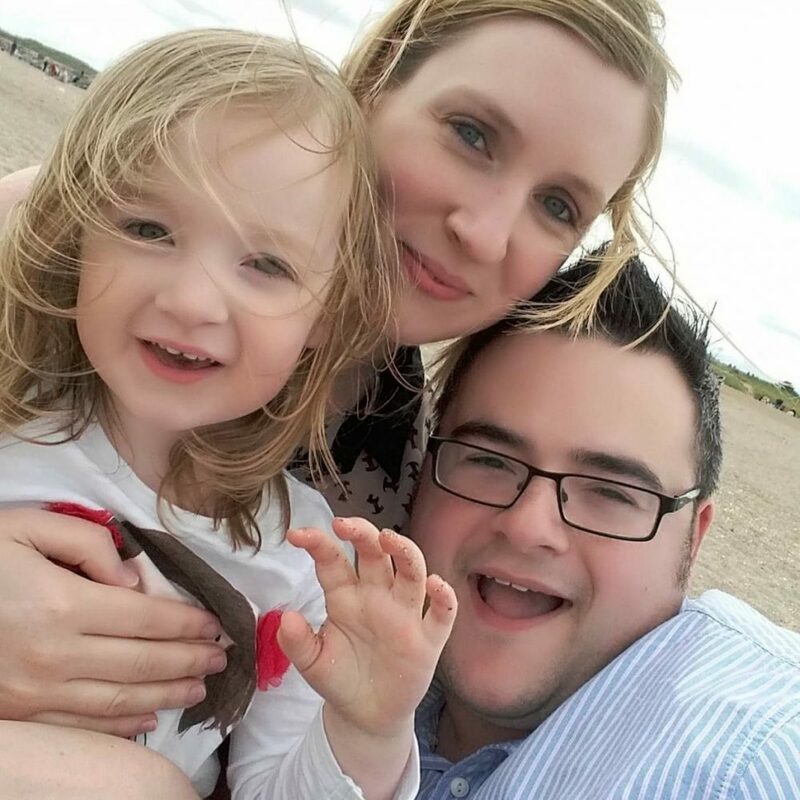 We were lucky enough to keep literally everything for Mia’s since birth, so we had very little to buy when Lottie was born. We also asked family to give money to pop into her savings account for when she’s older as they all know we aren’t huge fans of lots of toys and things (thankfully they respect that!). We had a quiet Christmas as we have such a small family but Boxing Day we went over to my dad’s as my Gran turned 90 on Christmas Day so we have a nice get-together and a bit of cake for her!! Then literally 3 weeks later, Lottie turned 1! 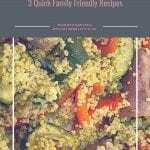 We didn’t do too much for it as they don’t really know what’s going on at that age and we haven’t really got any ‘friends’ to invite as such. 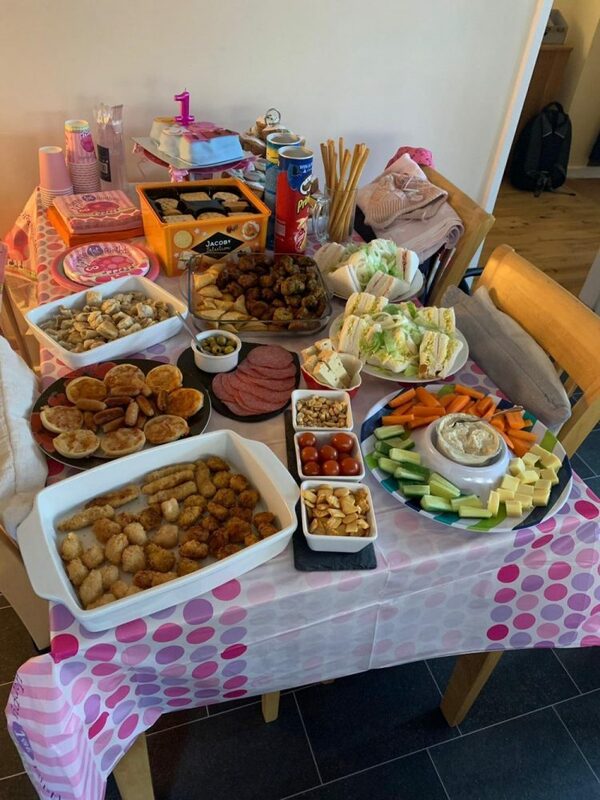 We decided to throw a little tea party for family and friends over the weekend which was lovely! Everyone popped over for a bit of food and to sing Happy Birthday! 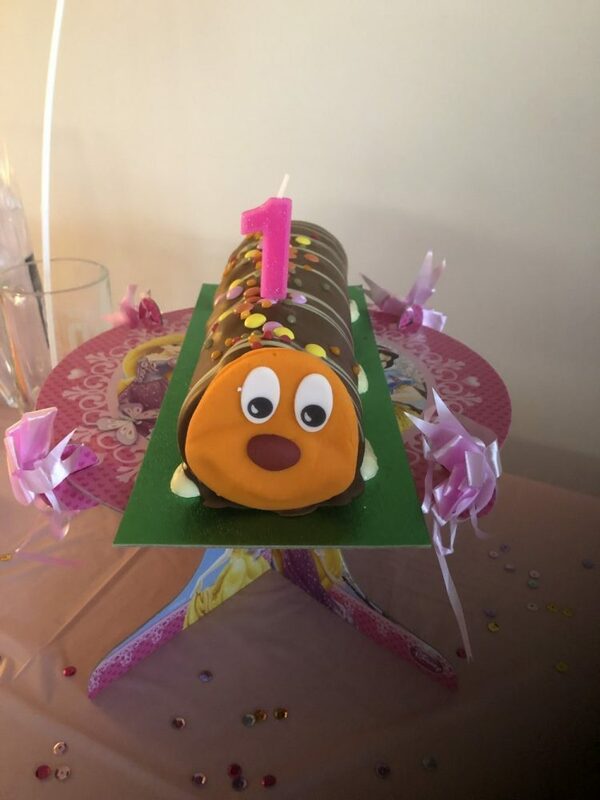 We had to do the party in 2 parts as my mum goes away for 3 weeks every January so for the 1st party Lottie had a Curly the Caterpillar cake which is a bit of a tradition as Mia had that for her 1st birthday! Party 2 I needed a bigger cake, so we got a Peppa Pig one as Lottie has just started watching a few episodes and seems to like them so far! 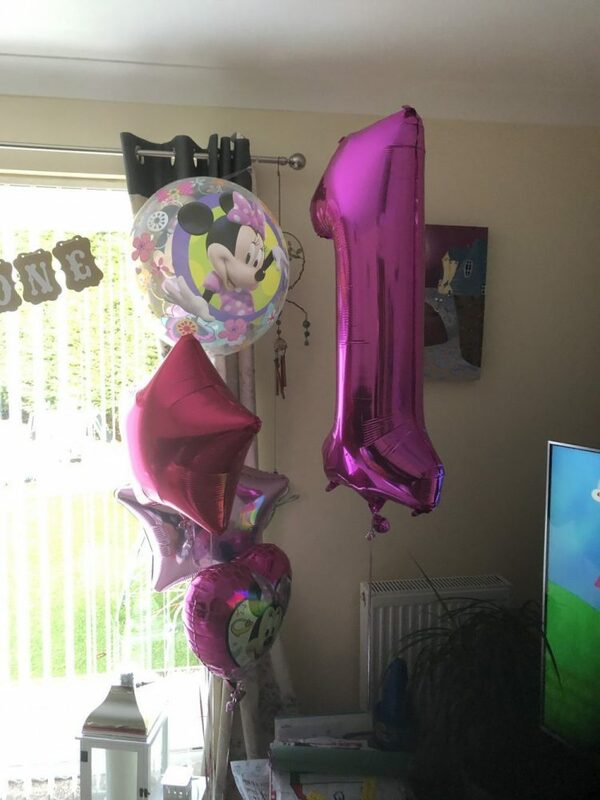 We also have a fab local balloon company that we used last year for Mia’s 5th birthday party so I asked them again to supply some Minnie Mouse balloons and a big number 1. They didn’t disappoint, and they can pretty much do whatever you want so if your local to Nottingham, drop me a message and I will pass their details on! I wonder what kind of party she will have next year? 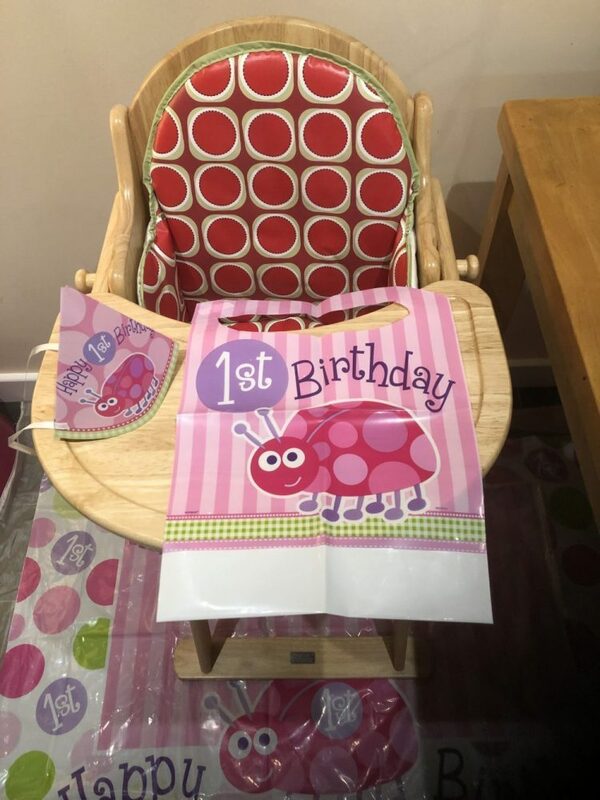 What do you do for you children’s 1st birthday parties?